OurStory is not yet available for the phone. Please use a tablet or a computer. Thank you. Thanks for being our guest and trying out OurStory. 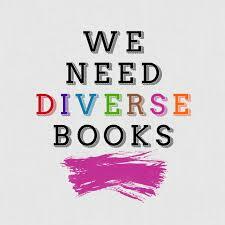 We hope you will consider becoming a subscriber and supporting We Need Diverse Books! This is featured content. In this space we will display the most recent featured content, allowing you to see the latest advertorial. 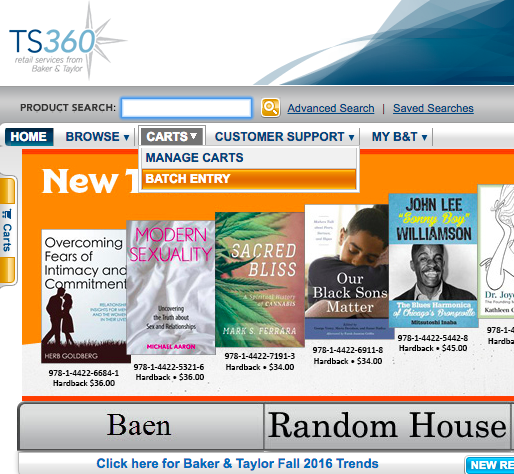 Find the perfect diverse book for your library! 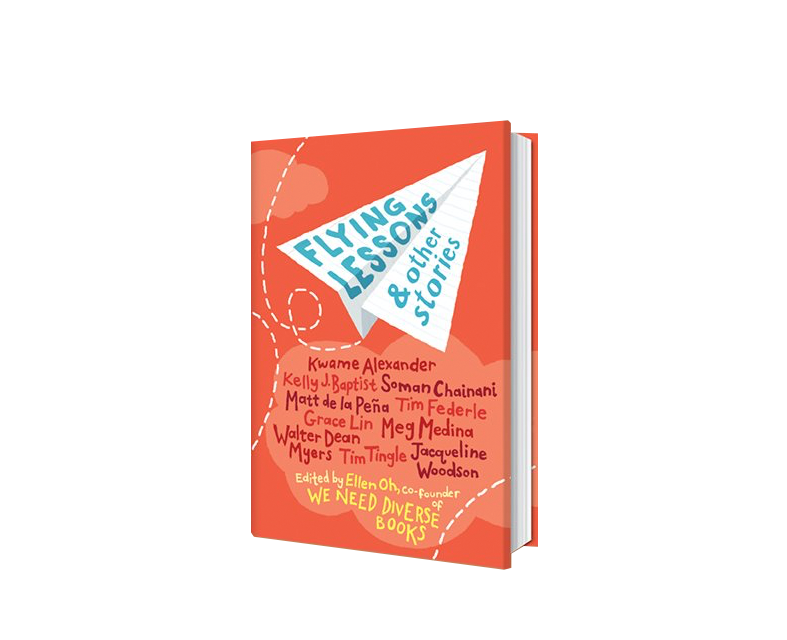 Whether it is basketball dreams, family fiascos, first crushes, or new neighborhoods, this bold anthology – written by the best children's authors – embraces the uniqueness and universality in all of us. A story for every child. A reflection of every community. OurStory is a discovery tool for librarians, schools, and families to further expand the diversity of their reading lists and book collections. 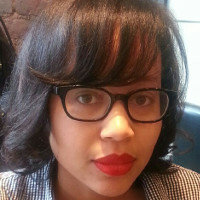 Dhonielle Clayton is COO of We Need Diverse Books, a former middle school librarian, a former secondary teacher, and an all around children’s literature nerd with two masters degrees in the field. She is the co-author of the Tiny Pretty Things series, and the forthcoming author of The Belles series. She's got a serious travel bug and loves spending time outside of the USA, but makes her home in New York City, where she can most likely be found hunting for the best slice of pizza. 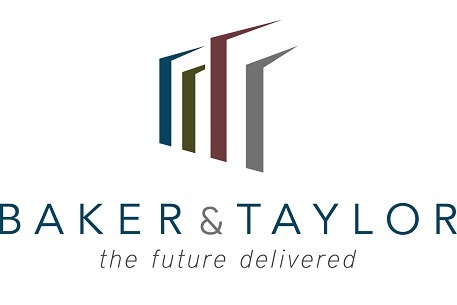 Bryce and Kristy are engineers, world travellers, bloggers, and an all-around awesome tag-team duo. Their debut novel LITTLE MISS EVIL was released by Spencer Hill Middle Grade/Scholastic, and they built this cool App you're using! 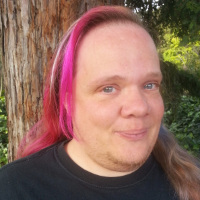 Alec Chunn is a librarian in Eugene, Oregon. 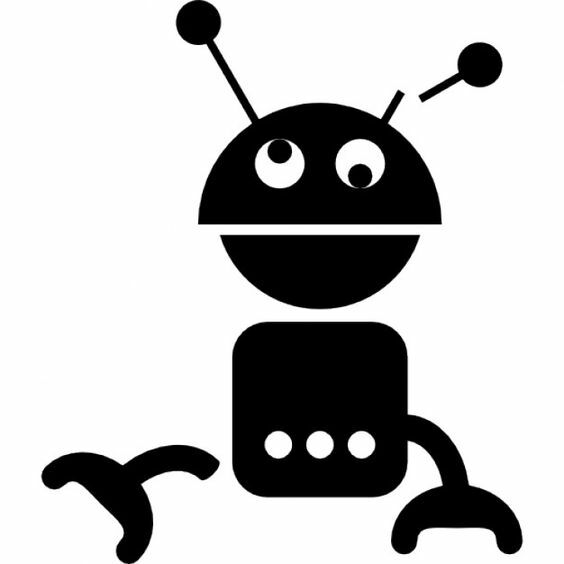 He holds a MA in children's literature and a MS in library and information science from Simmons College. He will be serving on the 2017-2018 Rainbow Book List Committee. Faythe Arredondo is a collection development and technical services manager and librarian in the middle of agricultural California. She loves working with teens, stats, and spreadsheets, watching hockey, Star Wars movies (4-7 of course), and Captain America movies. She’s always trying to find more books that reflect the experiences of low-income teens and Latinx teens. 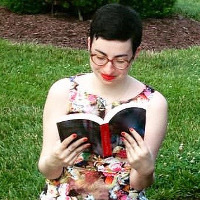 Sarah Hannah Gómez is a writer, fitness instructor, and former librarian. She has an MA in children's literature and an MS in library science from Simmons College. She is currently working on a PhD in children's and young adult literature at the University of Arizona. 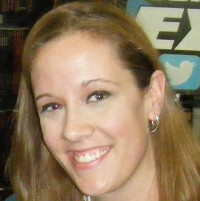 Jennifer Delmar-Rollings is a native Philadelphian now working as a teen librarian in Texas. Her teens (coming from the second most diverse city in North Texas) are a huge motivator for becoming involved in WNDB. She is in constant danger of being crushed by her to-read stack of books and is currently on the Mavericks Graphic Novel committee which excuses her graphic novel obsession. When not reading or being a nerd, she can be found hanging out with her husband Andrew and their four cats, Mika, Nammi, Willow, and Miss Scarlett O'Hairball. 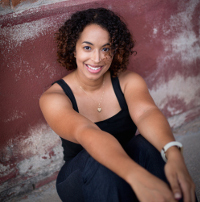 Kate Goka writes young adult fiction and graphic novels for and about queer youth of color. An alum of the VONA/Voices and Lambda Literary Emerging Writers workshops, Kate knows there is power in telling our stories in our own voices. 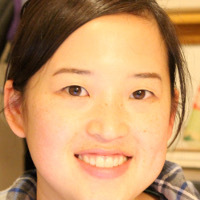 As a former high school teacher and a queer Asian mom living in the suburbs of San Francisco with her wife and three kids, she is proud of the myriad stories gathered here waiting to be gobbled up by a reader like you. Katrina Nye is a children’s librarian who has worked in both public and private schools. 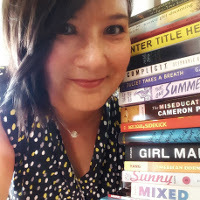 She is also an active member of Asian Pacific American Librarian Association (APALA) and has served on their Literature Award Committee for both children’s fiction and picture book categories. In addition to reading, Katrina’s hobbies include cooking, exploring new places, and spending time with her husband and two boys in Seattle, Washington. Kazia Berkley-Cramer is a children's librarian at a public library outside of Boston. She received her MA in children's literature and her MS in library and information science at Simmons College. She reviews for both The Horn Book and Kirkus. 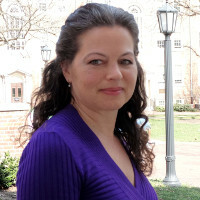 Mindy Rhiger has been a staff librarian for Mackin Educational Resources since 2009. After completing her MLS in 2001, she worked as a young adult librarian in a Chicago-area public library for a few years before moving to Minnesota, where she now lives with her husband and daughter. She has reviewed for Library Journal, contributed to Disability in Kidlit, and served as a judge for the 2016 Walter Award. 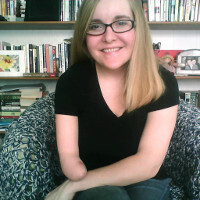 Mindy is a congenital amputee and uses a prosthetic arm in her daily life. 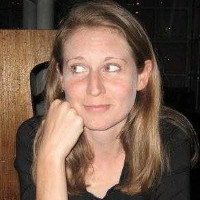 Sarah Hamburg lives in the Boston area and holds an MFA in writing for children and young adults from Vermont College of Fine Arts. She served as children's writer-in-residence at the Boston Public Library and has been a team member of We Need Diverse Books since 2015. 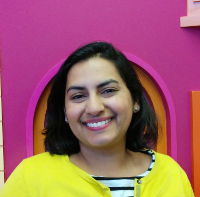 Amitha Jagannath Knight writes for children of all ages. She is a graduate of MIT and Tufts University, where she earned her medical degree. In 2012, she received the PEN New England Children’s Book Discovery Award. While her parents were originally from South India, Dr. Knight was born and raised in the United States. She has lived in Texas and Arkansas and now lives in the Boston area with her one husband, two children, and two cats. Alex Gino loves glitter, ice cream, gardening, awe-ful puns, and stories that reflect the diversity and complexity of being alive. They would take a quiet coffee date with a friend over a loud and crowded party any day. 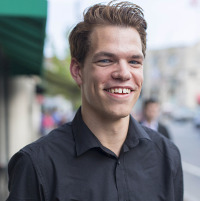 Born and raised on Staten Island, NY, Alex has lived in Philadelphia, PA; Brooklyn, NY; Astoria (Queens), NY; Northampton, MA; and Oakland, CA. In April 2016, they put their books and furniture in storage and have been driving around the country in a motorhome. Alexandria Abenshon is both a children's librarian at the New York Public Library and a dabbler in short stories. She graduated from New York University with a BA in Concepts of Ancestry in Literature and from the University of Kentucky with a MSLS. She loves all varieties of candy, books, animals, and crafts. A native of Pennsylvania, Alexandria currently lives in Queens, New York, with her husband and two dogs. Kara Stewart is an enrolled member of the Sappony tribe. She is a presenter and educator, serving as a reading specialist and literacy coach in public schools for the past twenty years. She currently serves on the North Carolina State Advisory Council on Indian Education. Her work around equity in education, with emphasis on Native people, has spanned over twenty years. She was the 2015 Community Member Recipient of the University of North Carolina's Diversity Award and the 2014 Lee & Low New Voices Honor Award Winner. 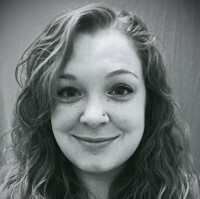 In addition to teaching, she is currently working on picture books and a middle grade novel. Your order contains items that are not available from this retailer. 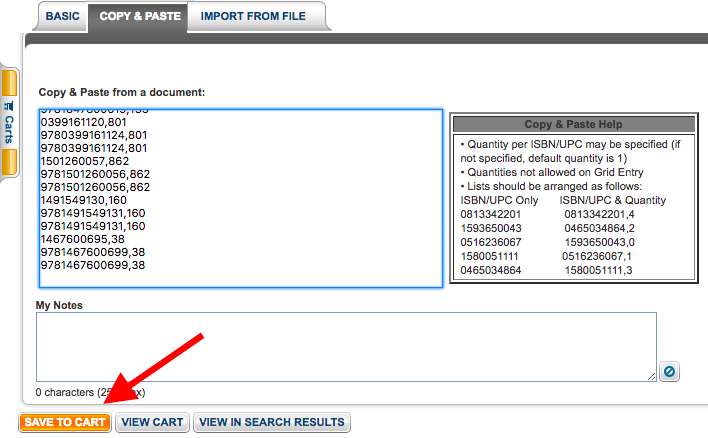 Please either correct the items in your cart (which are highlighted red) or pick a different retailer. Thank you. There are no books in this order. Please set at least one quantity to 1. Are you sure you want to remove this order? Thanks for supporting diversity in children's literature! Select Carts -> Batch Entry from the top menu. Select the "Copy & Paste" tab. Copy & Paste the following text into your TS360 window. We here at We Need Diverse Books encourage you to visit your favorite local bookstore or library in your city to find these titles. Just print out this page and show it to your bookseller or librarian! To access Perks please upgrade your account! This Perk is not available for your Membership Level. Please click here to upgrade. Hi there! Thanks for wanting to become a BookHero! Before we can continue, we'll need a parent or guardian to log into OurStory for you. That way, next time you come back we know it's you! You are about to downgrade your subscription level. Your existing membership will be cancelled and your new membership level will take effect immediately. You are about to cancel your subscription level. You will continue to have access until your current subscription's expiry. Missing information! Please complete all the address information before clicking update! 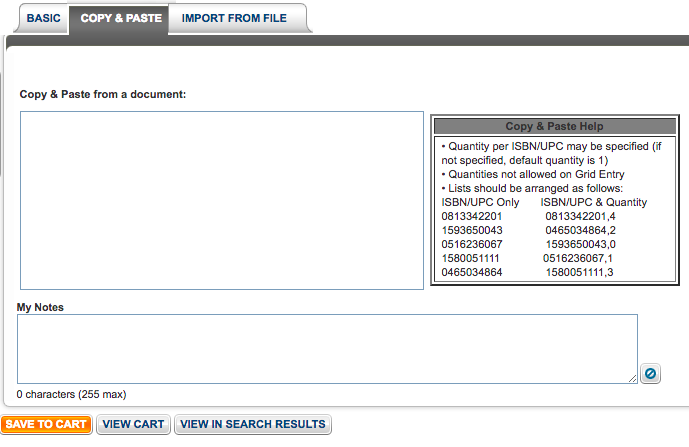 Note that WeNeedDiverseBooks doesn't store your credit card information. All credit card processing is done via Paypal. Librarians and approved readers will use this page to confirm whether a book's information is accurate. If you spot a mistake, click the red X button and it will be flagged for review. Our support team has been alerted and is (probably) hard at work fixing this. Sorry for the inconvenience. Questons? Comments? Let us know at ourstory@diversebooks.org. Technical Issues? Shoot us an email at ourstory.support@diversebooks.org. Oops! It looks like we don't have your billing address on file. Would you be so kind as to update it? Pretty please?